Στην περιοχή Ντουμαγκετε Σίτυ, το Golden Gate Suites αποτελεί ιδανικό σημείο για να εξερευνήσετε την πόλη Ντουμαγκέτε και τα περίχωρα. Το κέντρο της πόλης είναι μόνο 0.05 km μακριά και μπορείτε να φτάσετε στο αεροδρόμιο μέσα σε 10 λεπτά. Με την βολική του τοποθεσία, το ξενοδοχείο προσφέρει εύκολη πρόσβαση στους προορισμούς της πόλης που πρέπει οπωσδήποτε να δείτε. Το Golden Gate Suites προσφέρει επίσης πολλές εγκαταστάσεις για να εμπλουτίσετε την διαμονή σας στη Ντουμαγκέτε. Κορυφαία χαρακτηριστικά του ξενοδοχείου συμπεριλαμβάνουν τα δωρεάν WiFi σε όλα τα δωμάτια, παντοπωλείο, ημερήσιος καθαρισμός, 24ωρη ρεσεψιόν, φύλαξη αποσκευών. Απολαύστε ανέσεις υψηλών προδιαγραφών κατά τη διαμονή σας. Ορισμένα δωμάτια περιλαμβάνουν επίπεδη τηλεόραση, κρεμάστρα ρούχων, λευκά είδη, καθρέφτης, πετσέτες - ό,τι πρέπει για να αναζωογονηθείτε μετά από μια γεμάτη μέρα. Το ξενοδοχείο προσφέρει μια άριστη ποικιλία ψυχαγωγικών εγκαταστάσεων, όπως τα μασάζ. Όποιος κι αν είναι ο σκοπός της επίσκεψης σας στη Ντουμαγκέτε, το Golden Gate Suites είναι μια εξαιρετική επιλογή για μια χαρούμενη και συναρπαστική απόδραση. budget hotel but exceeded my expectations! front desk was so accommodating and patient, place was clean and very accessible, with 7/11 and pharmacy nearby, and it has hot/cold shower.. only lacking was toiletries, but it was negligible. highly recommended! Dear ma'am Kristine, thanks for leaving us such a wonderful review. We are thrilled that you loved your experience; our staff will definitely be happy to read what you wrote. We put customer experience and satisfaction as our priority, and your review reaffirms the hard work we put in every day. So thanks for your kind words and we look forward to seeing you again. Spent two nights here. Matrimonial standard was a smelly room. Like dumpness or uncleaned aircon. Stayed here alone. I was too tired to move. Second time around I stayed with my gf and so requested a room that didn't smell bad. I got a free upgrade to a Delux room which was nice, thank you! It had a modern aircon but the bathroom wasn't so clean. Despite all, the front desk as well as house keeping staff were really friendly and accommodating with my needs. Management needs to ensure they keep on top of cleaning especially the aircon. I would return subject to the above caveat. Front desk staff are accommodating, towels are clean and super white. the bathroom is clean, Bed is just okay. My husband and I enjoyed our stay even if is only one night. The cost is just affordable to an ordinary traveller. It was ok. There was nothing particularly good or bad about it. The 7/11 downstairs was convenient. They did hold our bags for us for a few hours after we checked out at no additional cost. They do have a magnetic key set up that means you can't leave a light on or AC running etc without the key in the key holder. Didn’t find the staff that friendly. It always seemed like you were bothering them or they had something better to do. The room was very average, nothing about it was a positive or a complete negative. That about sums up this place. Just so so. Don’t expect more. We ended up moving to Southview Hotel, same price, but a huge difference. Nicer place, and staff. Cleaner and more amenities on site. We stayed here for 3 nights and really enjoyed it. Excellent location right in town. 7/11 conveniently located right downstairs. Super friendly desk staff. Great working Wi-Fi, hot water, air con and super comfy bed. We even rented a scooter and they dropped it off and picked it up at the hotel. For the price, really can't say enough good things about it. Thank you for staying with us we appreciate your feedback! Good location. Market and other areas to eat very accessible. Wifi is not too stable but still ok.
Dear sir Annthony, thanks for leaving us such a wonderful review. We are thrilled that you loved your experience; our staff will definitely be happy to read what you wrote. We put customer experience and satisfaction as our priority, and your review reaffirms the hard work we put in every day. So thanks for your kind words and we look forward to seeing you again. The staff were super helpful and polite, our airline lost our luggage and they assisted in keeping in contact with them for us. The location is good, located right by a 711 and restaurants and Rival Blvd are nearby. Great stay and value for money. We stayed here for 4 days and 3 nights and it was a great experience. The staff were very accommodating. 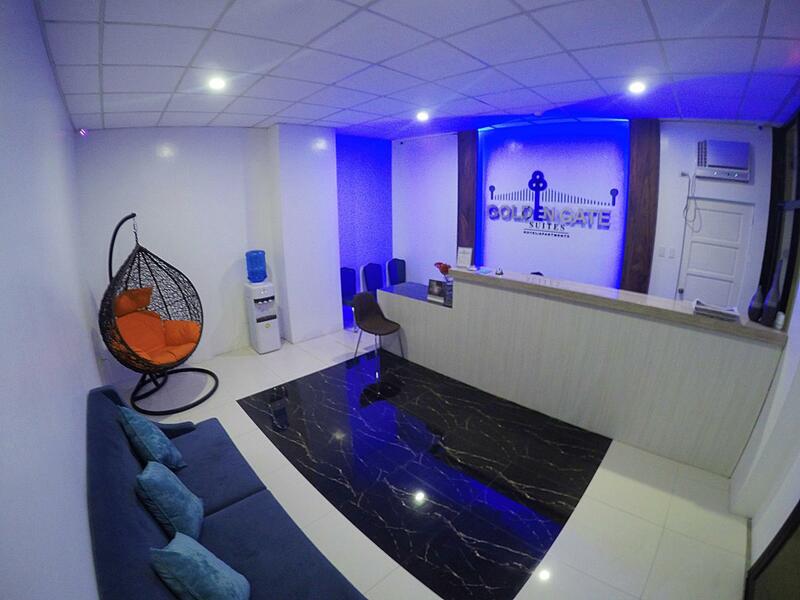 The location is equally great as it is just a walking distance from the tourist spots in Dumaguete. 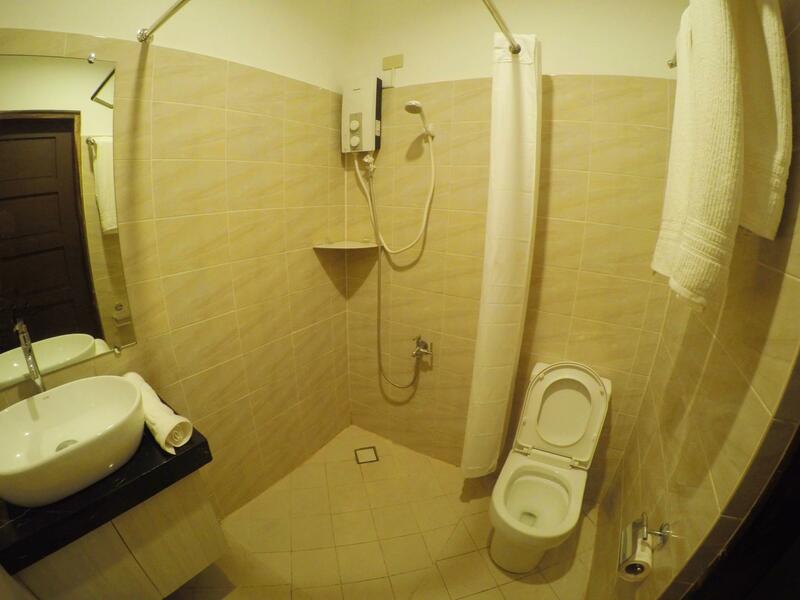 It just needs a little improvement with the toiletries provided to the guests. But all in all, our stay here is just perfect. 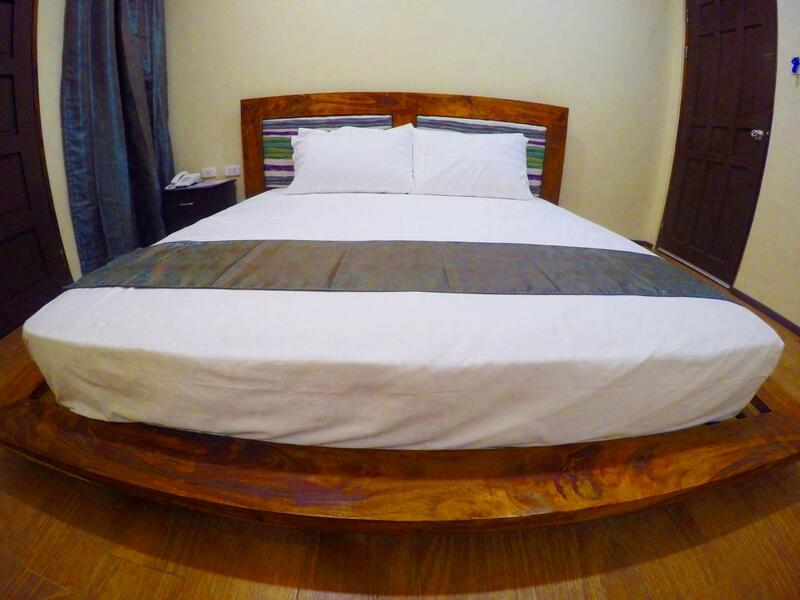 Pros: - location is close to a lot of restaurants, market & Rizal Blvd - there's a 7-11 below the hotel -all staff members I encountered are friendly and professional and very helpful every time I asked for some information -24 hour reception - strong AC, decent wifi, hot & cold shower Cons: - no floor rugs in the room, no shower curtains either but they did provide those after I asked - it's a bit annoying that you have to leave the keys every time you go out - no safe or cabinets with lock on the room - no elevator; I only had a backpack with me so it didn't really bother me but take note if you're bringing a wheeled luggage Overall, it's fine for short stays and if you really just need a place to sleep and would be out most of the day anyway. Pros is location as it is near to airport, bus terminal if you are to go to beaches in zamboanguita, dauin or bacong. Also near to market, church and roxas blvd. Cons: poor shower pressure, stiff stairs as no elevator and no thermos in the room. Staff is very friendly and helpful. The room is clean but need to be renovated soon -- old sink cabinet gives an off smell upon entering the bathroom. 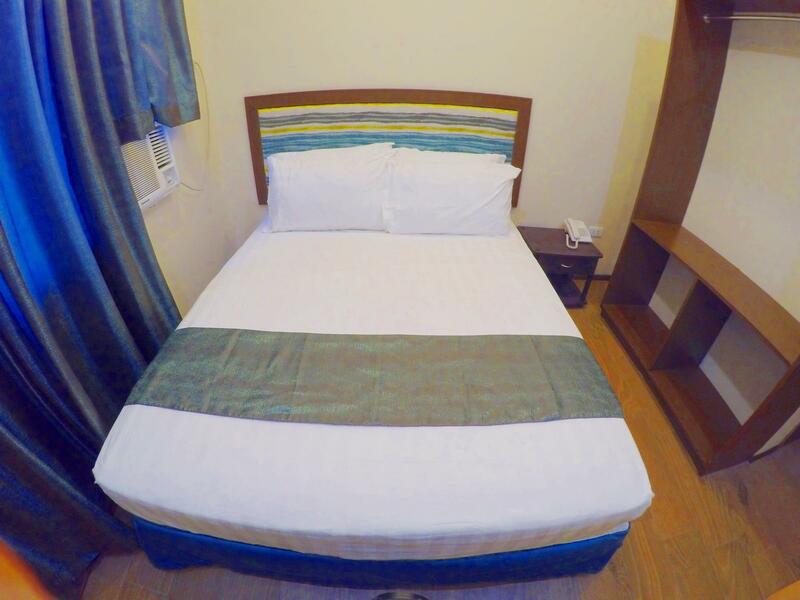 Location is excellent, it's near attractions, pharmacy, public market, convenience store on the GF, and tricycle drivers know the hotel's name. The best thing about it was its location-- ten minutes from the airport (costs 120 pesos); 4 blocks from the bay walk; 2 blocks away from the public market where you can have a nice traditional local breakfast; close to banks and restaurants. I particularly appreciate the hotel's "what to do in Dumaguete in a day" advice. The staff were courteous and helpful. 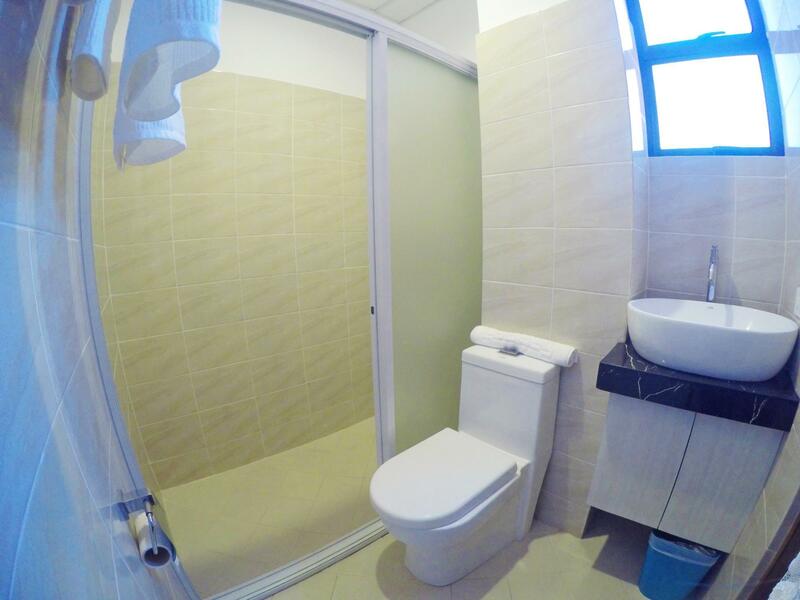 The bathroom was a lot more spacious than what is typically found in hotels of the same rating. Most flights into Dumaguete seem to arrive in the morning. So, if you want to check in early, it will cost you an additional 200 pesos. Overall, I recommend it and would consider staying here again. Just a mere 10 minute-distance from the airport, this hotel is by far, one of the cleanest and inexpensive accommodation I booked. Proximity-wise, it is near to all merchants and shops, you can hail a tricycle and only pay PHP8.00 for the fare (as of 2018). What I loved about it is how rooms are maintained and the bed mattress? Can I bring it back to Manila? LOL The front desk staff is also polite and eager to assist to every concern we have. My travel buddy and I uber-loved this place so we decided to book another night to this lovely abode. It is relatively clean an quiet, but there were ants in the bathroom. The rooms are very small with very small windows. But if you are not planning to stay a lot of time in the room, it is ok. Stayed here before and after going to Siquijor. Accessible to every need. Staff were accommodating and welcoming. Very accessible to a lot of stores. Great place! Nice clean room, friendly staff and close walking to downtown and good food around. Dear sir Adam, thanks for leaving us such a wonderful review. We are thrilled that you loved your experience; our staff will definitely be happy to read what you wrote. We put customer experience and satisfaction as our priority, and your review reaffirms the hard work we put in every day. So thanks for your kind words and we look forward to seeing you again. We stayed two nights in the hotel in the suite room. The room is spacious and has a seperate kitchen/bar. Bathroom is small. Bed is big, but matrass a bit old. In my opinion the room needs some maintenance . Especialy the bathroom. The warm water was not working during our stay, there was a leakage which was quite old, shower did not give sufficient water and tab was terrible; little water and very hard stream. This was also the case for the kitchen tab. The wifi was not very good, unstable and not very fast. I do have to say, except for the poor welcome in the hotel, the staff was really friendly and helpful! Compliments for them. However, all in all I would not recommend this hotel/room in this current state. There are better hotels for the same price at the moment. Τερματικός Σταθμός Λεωφορείων Northbound στα 0.76 χλμ.